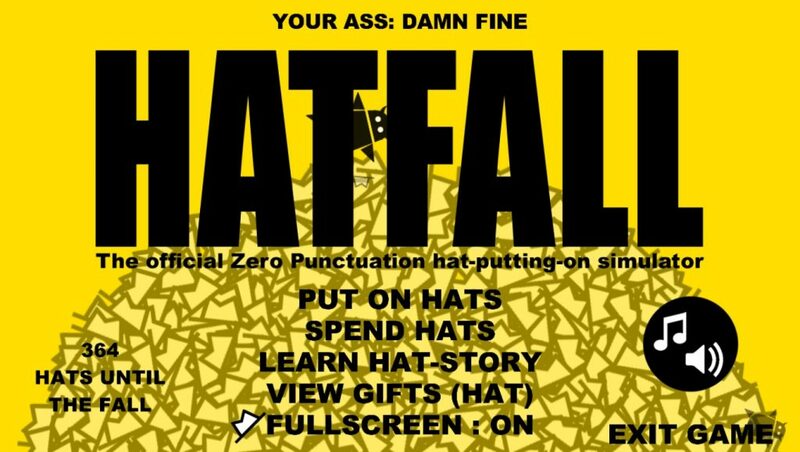 Hatfall – Hatters Gonna Hat Edition is a short and sweet minigame produced by the famous YouTuber, Zero Punctuation, the guy who rants about every video game in no more than a single sentence. He has decided to bestow upon the fandom the opportunity to catch as many hats as possible, and by any means necessary. First of all, I enjoy wearing hats. I wear hats like every day, all sorts-Caps, Snapbacks, Trilbys, even the occasional fedora. Because of my fascination with hats, a derpy Steam game based on one of my favorite game reviewers is the reason I’ve come to you today. The premise of the game is simple, you lack a hat, fix that problem. If you are looking for more of a story than that then this isn’t the game for you. 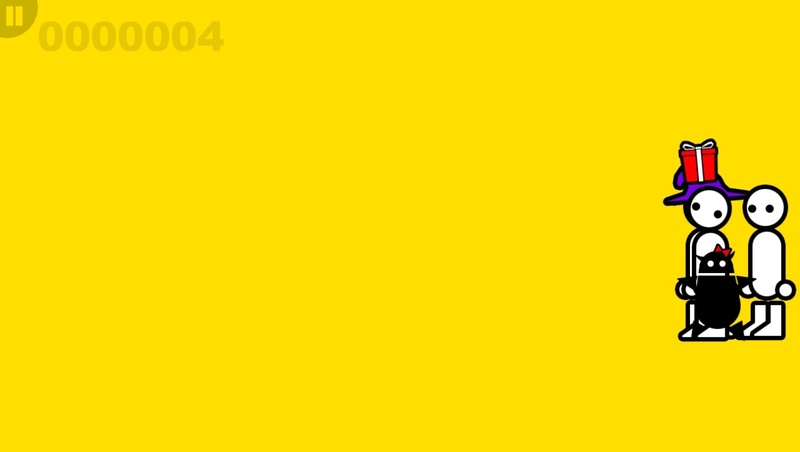 This is a fast-paced, addicting game to be played in bursts for when you have nothing better to do. This is not an epic tale of heroism nor is it a free-roaming sandbox. 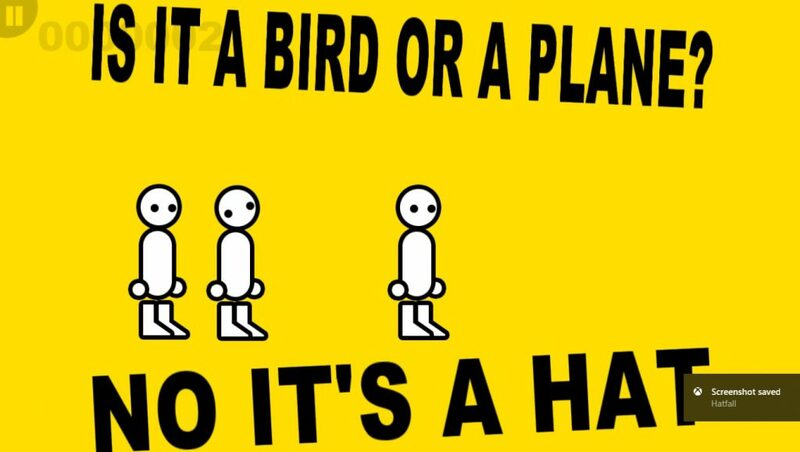 You play as Ben “Yahtzee” Croshaw, an Australian game reviewer who runs a channel called Zero Punctuation for the Escapist. While he’s known for his signature character models, like those little imps and the pudgy-looking stick figures, their only purpose in the game, is to distract you from catching that stylish white fedora. 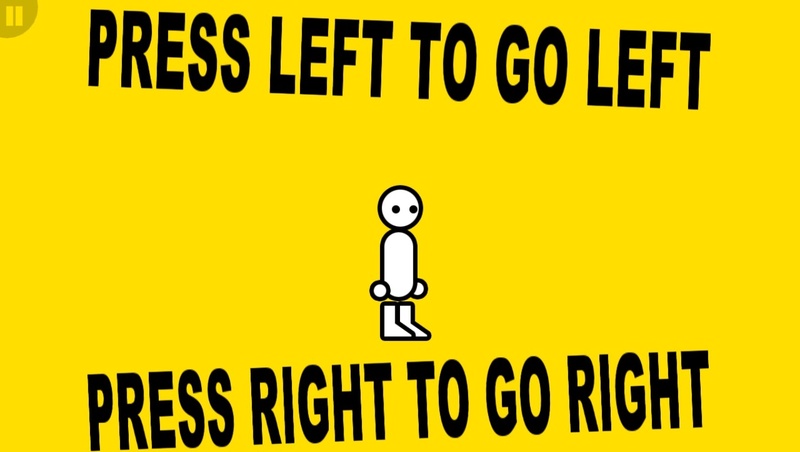 The above image is honestly self-explanatory; your only means of control are moving Yahtzee left or right. Shadows will form on the ground, pointing to the spot where a hat will land. You have to stand under it and get Yahtzee his hat so he can return to his desk and presumably work on his game reviews. Sounds easy right? Well, for the first few rounds you’d be correct, but the game spikes in difficulty like you wouldn’t believe. 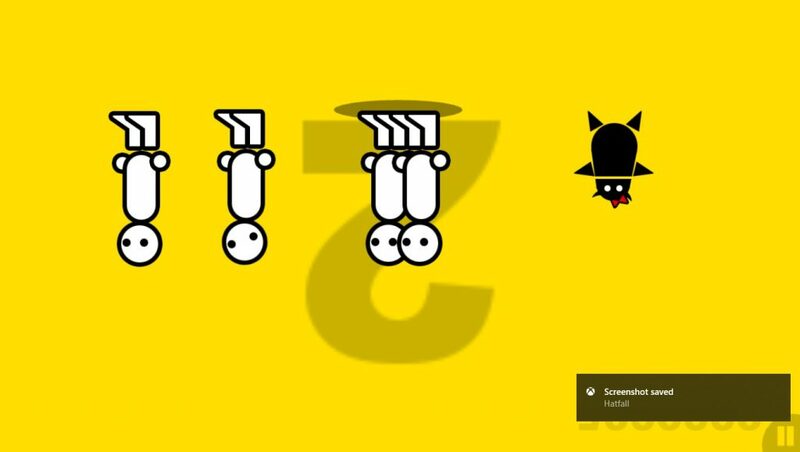 Suddenly, those black imps and other copycats will begin to join Yahtzee on the screen as he tries to catch a hat. Hats aren’t the only falling objects; you could be crushed by things like cars, fridges, and even stop signs. Catching a hat becomes much more difficult. Without his hat, Yahtzee and the others look almost identical and they move when you move. So now you need to find out who you are and get to where your hat will land. This is a far more daunting task, especially since the game only gives you three seconds to sort yourself out. Once in a blue moon, you may notice that the hat you caught looks like it fell out of a generic fantasy game. That’s because you caught the Wizard’s hat, and he is most displeased by your theft. In the next round, he will try to get revenge on you. He might flip the game upside down and force you to catch a hat while everything is moving backward. 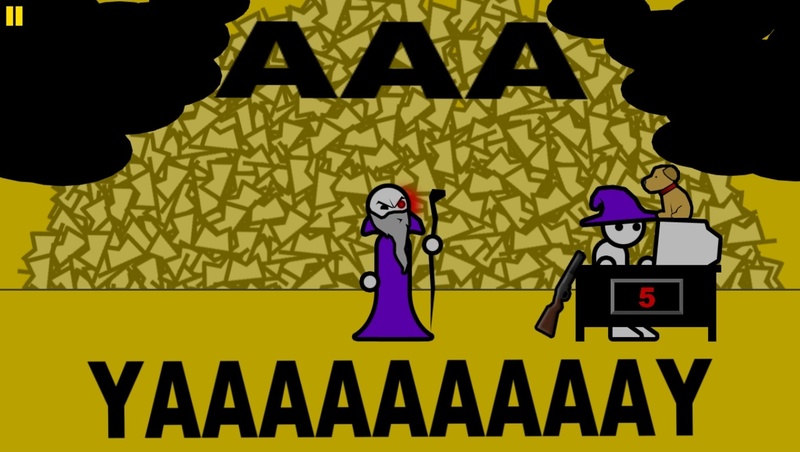 If you survive the Wizard’s Challenge, he will chill out and lend you an I.O.U. to be cashed in for a reward after you finish a game. After catching enough hats, the big man above will deem you worthy of a special gift. Some gifts are just for display, as seen near Yahtzee’s desk between rounds. Others will activate weird mini-games (a dating sim once) that you need complete in order to go back to catching hats. These minigames parody dating sims, turn-based RPGs, and a business simulator where you make your employers rich in the pinecone market. These moments can be surprising when you find them, so as long as you keep playing, you will unlock them. I’m sure you are wondering what to do with all your hats. Well, you should pawn them off of course! The game has a shop where you can purchase and unlock more avatars to show up at higher levels. Some can be a bit pricey though, costing you a few thousand hats. 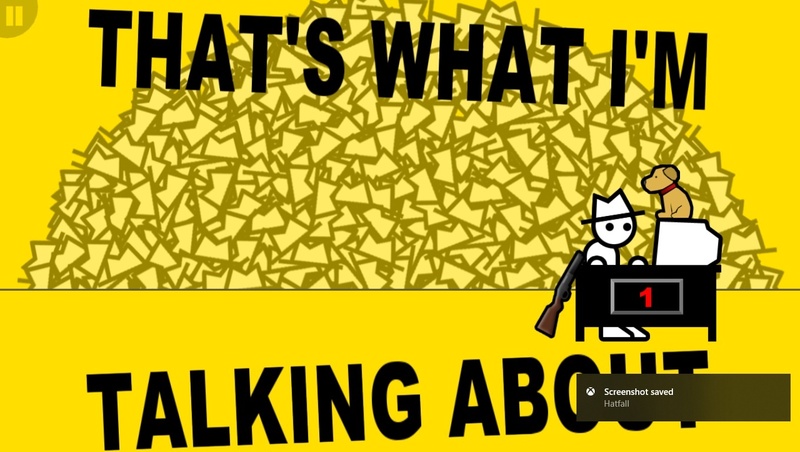 Honestly, I am a huge fan of Yahtzee, but I also respect him as a critic and won’t give him less than he deserves. This game relies on humor to be its main driving force. Since I’m a fan, I do find Hatfall amusing, to say the least, but the humor wears off after a bit, and this game can get boring very fast. 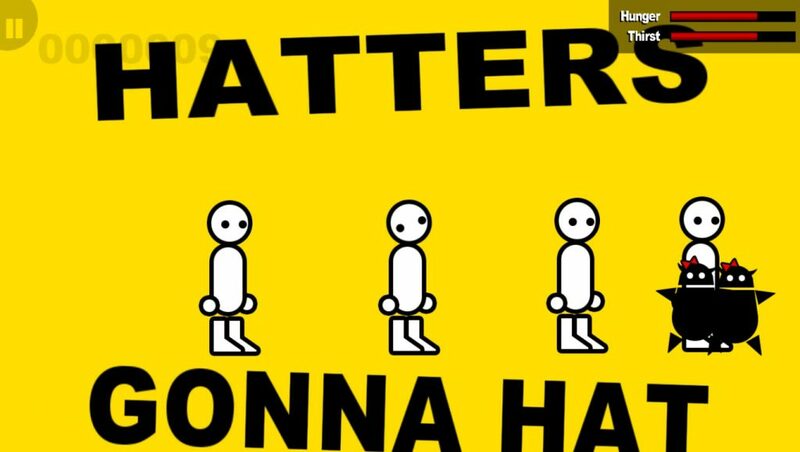 Below is a link to Yahtzee’s most recent Zero Punctuation Review. If you get a good laugh out of it then you’re going to like the humor in Hatfall. Since the game is so barebones, I can’t even really give it an objective rating.